Autistic Savants: Debunking hits a new low? Perhaps it is my natural bias but the subject matter of this article by Greg over at The Daily Grail got my blood close to boiling point. The authors of a report claim that savants are merely expert magicians, trained in mathematical, memory and other trickery. Looking at the report itself, why am I not surprised to see a book by one M. Shermer at the top of the reference list? The report also dismisses Stephen Wiltshire's amazing artistic feats with a hand wave. The usual debunking claims are brought forward again: trickery, deliberate dishonesty, poor research methodology, anecdotal evidence - straight from the Shermer handbook. Take a look for yourselves, I am curious to know whether it stirs similar emotions in others. He noticed he "slowed down"? Is that the proof? How about he take an ordinary mentalist and have him do a contests with Tammet and put his money were his mouth is? “Stephen Wiltshire can certainly replicate in stunning fashion what he sees as demonstrated in a recent documentary film clip, when, after a 45 min helicopter ride over Rome, he completed, in a 3-day drawing marathon, an impeccably accurate drawing, on a five and half yard canvas. 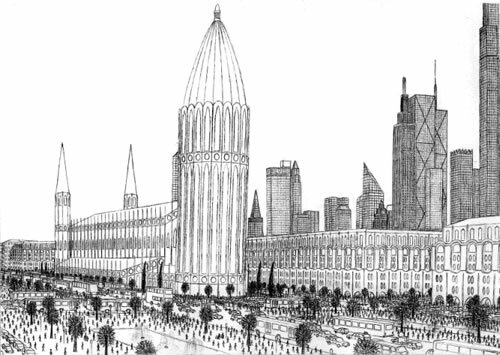 It captures with precision the many square miles he has seen street by street, building by building and column by column.” To our knowledge, this depiction has not been confirmed or quantified by any real study. How hard can it be to take aerial photos and compare? They've done that. What are they after?..that he missed a cracked window somewhere, a door out of place?..a dog on the sidewalk? Sometimes the most amazing abilities of the human brain are revealed exactly when things go wrong with it. Take, for example, savants - people who have mental abilities that could only be characterized as superhuman (like having photographic memory, playing music perfectly after hearing it just once, or doing complex mathematical calculations in one's head) but otherwise severely disabled in every day cognitive functions and social interaction. Most savants are born with their abilities (and unfortunately, their developmental disorders), but not all: severe brain injuries can, in very rare instances, cause savant-like abilities to surface (see, for example: The Case of the "Sudden" Savant). One noted savant (Daniel Tammet, see below) is a highly functioning autistic savant who can perform amazing mental feats but does not have significant developmental disabilities. Even though you've never heard of Kim Peek, chances are you've heard the movie Rain Man. Kim was the inspiration for the character played by Dustin Hoffman in the movie. 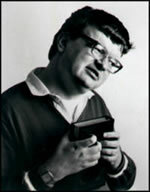 Kim Peek was born with severe brain damage. His childhood doctor told Kim's father to put him in an institution and forget about the boy. Kim's severe developmental disabilities, according to the doctor, would not let him walk let alone learn. Kim's father disregarded the doctor's advice. Till this day, Kim struggles with ordinary motor skills and has difficulty walking. He is severely disabled, cannot button his shirt and tests well below average on a general IQ test. But what Kim can do is astounding: he has read some 12,000 books and remembers everything about them. "Kimputer," as he is lovingly known to many, reads two pages at once - his left eye reads the left page, and his right eye reads the right page. It takes him about 3 seconds to read through two pages - and he remember everything on 'em. Kim can recall facts and trivia from 15 subject areas from history to geography to sports. Tell him a date, and Kim can tell you what day of the week it is. He also remembers every music he has ever heard. Since the movie Rain Man came out, Kim and his father have been traveling across the country for appearances. The interaction turns out to be beneficial for him, as he becomes less shy and more confident. Leslie Lemke didn't have a great start in life. He was born with severe birth defects that required doctors to remove his eyes. His own mother gave him up for adoption, and a nurse named May Lemke (who at the time was 52 and was raising 5 children of her own) adopted him when he was six months old. As a young child, Leslie had to be force-fed to teach him how to swallow. He could not stand until he was 12. At 15, Leslie finally learned how to walk (May had to strap his fragile body to hers to teach him, step by step, how to walk). At 16 years of age, Leslie Lemke bloomed. In the middle of one night, May woke up to find Leslie playing Tchaikovsky's Piano Concerto No. 1. Leslie, who has no classical music training, was playing the piece flawlessly after hearing it just once earlier on the television. From then on, Leslie began playing all styles of music from ragtime to classical. Like the Tchaikovsky piece, he only has to hear the music once in order to play it again perfectly. He became famous after being portrayed in national television shows. Before his health started to deteriorate, Leslie gave many concerts around the world. As a toddler, Alonzo suffered a head injury in an accident that changed his life. 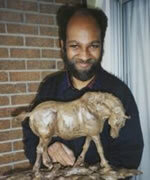 He can't feed himself or tie his shoelaces, but he can sculpt. And boy, can he sculpt: after seeing only a fleeting image of an animal on a TV screen, Alonzo could sculpt a perfect 3D figure of it, correct in each and every detail right down to the muscle fibers. Gottfried Mind was one of the earliest savants in history. 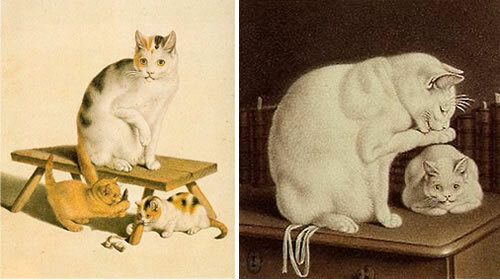 In 1776, the eight-year-old Gottfried was placed in an art academy, where his teachers noted that he was "very weak, incapable of hard work, full of talent for drawing, a strange creature, full of artist-caprices, along with a certain roguishness." Gilles Tréhin lives part-time in the city of Urville, in an island off the Côte d'Azur, between Cannes and St. Tropez. Never heard of it? That's because Urville exists only in his mind. Since he was 5, Gilles taught himself to draw three dimensional objects. By 12, he started building a city he called "Urville" (after Dumont d'Urville, a French scientific base in the Antarctic). At first he used LEGO, but shortly thereafter, he realized that he could expand his imaginary city much easier with drawings. Jedediah Buxton, born in Derbyshire, England, in 1707, couldn't write. By all accounts, he has no knowledge of science or history or anything else for that matter except for numbers. Jedediah, as it turned out, was one of the world's earliest mental calculators and savants. Everything was numbers to Jedediah - in fact, he associated everything he saw or experienced with numbers. He measured the area of the village he was born in simply by walking around it. When he saw a dance, his whole attention was to count the number of steps of the dancers. At a play, Jedediah was consumed with counting the number of words uttered by the actors. 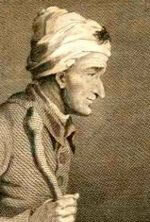 The mental feat of Jedediah Buxton was tested by the Royal Society in 1754 - his mathematical brain was able to calculate numbers up to 39 figures. Orlando Serrell wasn't born autistic - indeed, his savant skills only came about after a brain injury. In 1979, then ten-year-old Orlando was playing baseball when the ball struck him hard on the left side of his head. He fell to the ground but eventually got up to continue playing. What makes Orlando Serrell so unique is that he may indeed hold the key that unlocks the genius in us all. Orlando Serrell did not possess any special skills until he was struck in the head by a baseball when he was 10. And his extraordinary gifts seem to be his only side effect. Could this mean once a key hemisphere in the brain is stimulated, we can all attain the level of genius Orlando posses and beyond? Only time and research will tell. Until then we will do well to keep our eyes on Orlando and learn what we can from his experience. Stephen has a particularly striking talent: he can draw an accurate and detailed landscape of a city after seeing it just once! He drew a 10 meter (~33 ft) long panorama of Tokyo following a short helicopter ride. Like Leslie Lemke, Ellen Boudreaux is a blind autistic savant with exceptional musical abilities. She can play music perfectly after hearing it just once, and has a such a huge repertoire of songs in her head that a newspaper reporter once tried to "stump Ellen" by requesting that she played some obscure songs - and failed. Ellen knew them all. Ellen has two other savant skills that are unusual. First, despite her blindness, she is able to walk around without ever running into things. As she walks, Ellen makes little chirping sounds that seems to act like a human sonar (See also our post on Ben Underwood, a blind teen who uses echolocation to "see"). Second, Ellen has an extremely precise digital clock ticking in her mind. To help overcome her fear of the telephone, Ellen's mom coaxed her to listen to the automatic time recording (the "time lady") when she was 8. From then on, Ellen knows the exact hour and minute, any time of the day without ever having seen a clock nor have the concept of the passing of time explained to her. Ellen - "With a Song in Her Heart"
At first glance, you won't be able to tell that Daniel Tammet is anything but normal. Daniel, 29, is a highly functioning autistic savant with exceptional mathematical and language abilities. Daniel first became famous when he recited from memory Pi to 22,514 decimal places (on 3/14, the International Pi Day, of course) to raise funds for the National Society for Epilepsy. Numbers, according to Daniel, are special to him. He has a rare form of synesthesia and sees each integers up to 10,000 as having their own unique shapes, color, texture and feel. He can "see" the result of a math calculation, and he can "sense" whether a number is prime. Daniel has since drawn what pi looks like: a rolling landscape full of different shapes and colors. Daniel speaks 11 languages, one of which is Icelandic. In 2007, Channel Five documentary challenged him to learn the language in a week. Seven days later, Daniel was successfully interviewed on Icelandic television (in Icelandic, of course!). As he describes in his newly published memoir, “Born on a Blue Day: Inside the Extraordinary Mind of an Autistic Savant” (Free Press), he has willed himself to learn what to do. Offer a visitor a drink; look her in the eye; don’t stand in someone else’s space. These are all conscious decisions. Born on a Blue Day, Daniel's autobiography (Daniel was born on a Wednesday, a day he perceived as blue). I think the point has been made that many of these people are, like Kim Peek, unable to "train" the way mentalists and stage magicians do. It is one thing to say that the "normal" brain is capable of such feats with proper training (though I somehow doubt that holds entirely) and quite another to suggest that these individuals are con-men who have trained rigorously. To me, this is a case of "we don't understand how this can be but we'll pretend we do anyway". The Skeptics are on a losing battleground, the desperately are clingy to anything they find to get clicks and views. I liked these videos, Pollux, particularly the second one. I feel so happy for Stephen that his skills have enabled him to find his way out of the prison of his autism and become a happy and confident young man. That sums up rather a lot of science! Pollux, I didn't read every entry in the list of savants that you provided, but it is more than apparent to me that it quite obviously defeats the "skeptic" rejoinders as described in the OP. The authors of a report claim that savants are merely expert magicians, trained in mathematical, memory and other trickery. That's not what the article says. The referenced opinion article does not make the claim that all these folks actually trained themselves consciously. Nor does it claim that innate abilities have nothing to do with it. "We do not deny here that innate factors contribute to mathematical abilities (Docherty et al., 2010), but argue that cognitive science of extraordinary mental skills should not be based on anecdotes and ambiguous claims lacking rigorous proofs." Yes, but in many cases, the people concerned have no mathematical skills in the ordinary sense of the word. It is pretty absurd to call these cases anecdotes - because these capabilities persist often as long as the person lives. What we need is a lot more actual scientific interest in these people. I'd like to take savants of various sorts and try to devise experiments that would show clear ψ capabilities if successful. For example, if a guy can tell the weather on an arbitrary date in the past (as one individual could) try him with a few dates in the near future. There is an autistic savant described by Bill Bryson that showed precognition. I think it would be better to just post the study instead of this spun article. This kind of investigation I think could be very valuable, just imagine if we found out that even 1 of these Savants skills could be learned. I did include the link in the OP. EDIT: Some of these skills can be learned - or at least emulated (to a point). The article is not wrong about that. The point is that, despite what the article says, everything I've read or seen about them suggests that savants such as those featured above do not learn or train for these skills, they just have them. Either they are born with them or they acquire them suddenly as a result of some accident or medical procedure. Joshua Foer suggested that Tammet's achievements could be the result of extensive deliberate practice rather than a feature of his exceptional mind. The entire point of investigating prodigies is to decipher the cognitive mechanisms by which they perform their feats. If the magic tricks remain hidden there is very little that can be done about such cases scientifically. Ignorance about techniques employed by performers to achieve their feats. These techniques involve training but do not require extraordinary mental abilities. In any case, I did post the link to the article in the OP and, like you, readers can come to their own conclusions. "Joshua Foer suggested that Tammet's achievements could be the result of extensive deliberate practice rather than a feature of his exceptional mind." Oh, I definitely think that Tammet practices. He certainly memorized the digits of pi, rather than figuring them out. But it is probably still the case that he has some kind of innate ability that most of us lack, perhaps for memorization. "The entire point of investigating prodigies is to decipher the cognitive mechanisms by which they perform their feats. If the magic tricks remain hidden there is very little that can be done about such cases scientifically." I think the authors are just saying that we aren't going to learn how they do it if we don't investigate. "Ignorance about techniques employed by performers to achieve their feats. These techniques involve training but do not require extraordinary mental abilities." Yes, the techniques do not require special mental abilities. That doesn't mean that there are no special mental abilities at all. It could be a combination of special ability and learned technique. Seems to me that they have already decided how they do it: magic tricks. Doesn't that come across as a pejorative? As in: the gullible might believe there's something mysterious but we know it's only magic tricks? Another thing I pick up on is the phrase that includes "magic tricks". What do they mean by "remain hidden"? Are they claiming to have exposed the tricks? Are they saying that the people in question deliberately deceived the gullible public? Are they now the crusading debunkers - in the mould of Randi and Shermer - protecting us from these charlatans? Or do I read too much into a few Freudian slips? Actually that was all rhetorical, I know what I get from the article and I know that you will read it a different way. T'was ever so. It's just an opinion piece. It's not a research article. I don't really know anything about Savants, so can't judge the merits of the authors argument without further research into the actual papers they referenced to support it. The late addition at the end - regarding some fMRI study - did get my alarm bells ringing though. I vaguely remember a Feynman interview where he and a mathematician noted the different ways they experienced the processing of information. I also vaguely recall some claims that Feynman had some type of synesthesia which allowed him to see -was it - formulas in colours? Yes - it does say "Opinion Article" but it carries the usual appearance of a scientific paper including lots of references, etc. It is clearly meant to influence the direction of research even if it is not claiming to be research. I think one of the savants mentions seeing the answers to calculations as colours. Perhaps it is in one of the videos posted above? I've seen some of them before but some time ago. When I get more time I'll watch them all again. Yeah, but it's just opinion, it doesn't tell us anything... so what? There are millions of opinions... where's their data? If the authors want to show that some particular papers conclusions may be worthless (as they obviously do), they need to produce data that supports their inference. As they don't, we can safely ignore them, and continue to judge the original papers mentioned on their own merits. If some scientists make claims, other scientists will try and challenge them. Somewhere along the way a better truth comes out. But this is just an opinion piece... they can write what they like... they may be right for all I know.. but it was such a short, vague and insignificant piece I don't have any interest in checking out what they claim. They need to make a stronger case for me to show any interest. Perhaps a bit. But they do say "We do not deny here that innate factors contribute to mathematical abilities ..."
Seems to me they are just saying we should investigate how they perform their feats, rather than just oohing and ahing. Can't argue with that.